Scary in all the wrong ways. You were caught wandering around the grounds of the old Central State Asylum, delirious and babbling, so you’ve been brought inside by the attendants to get the help you need. Or so you’ve been told. You know you and the other patients aren’t crazy, and you’ve got to get out! They say first impressions are everything, and The Experiment made a terrible one. The barren first room had very little to do, and although it was obvious that there would be more in subsequent rooms, I didn’t hold out much hope. With seven players, it felt like there’d be a lot of standing around for some of us, and unfortunately, that was the case. We started off with three puzzles, one of which was well clued, one of which would be irrelevant and soon forgotten for a good while, and another that had no clues whatsoever, and for the unlucky, impossible to solve without serious help. We then were given a way to make it through the next door we found, but this puzzle for one person made no sense to anyone, and the solution was triggered by utter accident. The worst part is that it got much better, and then so much worse from there. Once we’d made it through that slog, we were treated to a set of pretty great puzzles. Everyone had something to do, and all interactions made sense. It was unfortunate that section only lasted for maybe seven minutes, as it was all downhill from there. A lot of the problems that we saw at the beginning filtered over to the rest of the experience, and after a promising uptick, everything fell apart. Too many people and not enough puzzles became a problem, as crowding around one puzzle or standing around idly started to become the norm. One particular interaction was amplified in it’s annoyance due to the always infuriating problem of not being allowed to write anything down. A sound based puzzle that goes by too fast as part of a long spiel that must be listened to again and again without the aid of a whiteboard enters the frustrating territory of difficulty without fun. The endgame was interesting on paper, but the execution quickly fell flat, and all final puzzles were poorly designed for any more than 2-3 people. 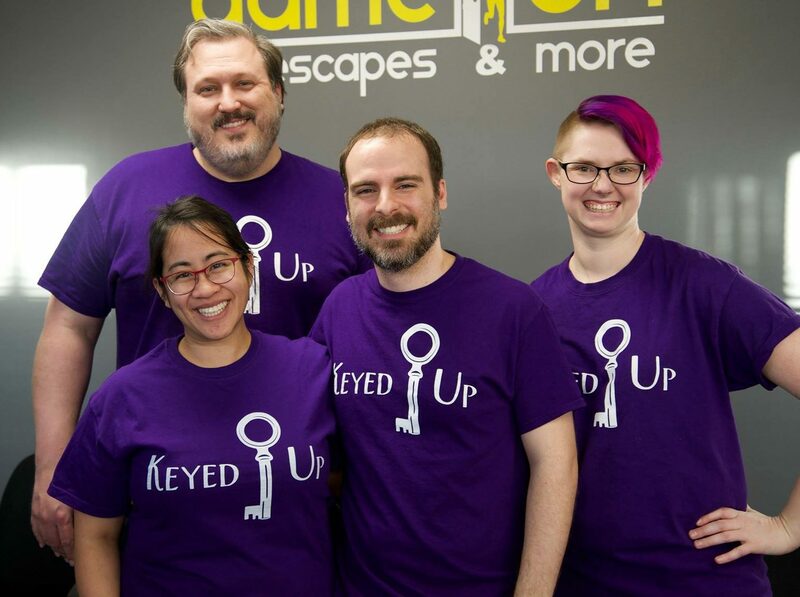 Having heard great things about Codescape in general, I’d love to go back and try their other rooms, but if this had been my first exposure to Escape Rooms, I don’t think I’d have done a second without major encouragement. An all around major letdown, and probably my least favorite room to date. Without a major revamp and drop in the maximum players allowed in the room, I cannot recommend this one at all. If you’d like to book an escape at Codescape, you can do so here.